I've seen enough of these starters. As I originally said, we have no dogs in the starting lineup. All of them want to score 20. Can Stevens coach when he has this kind of talent? How about shaking it up Brad. I think the time has probably come to try bringing Hayward off the bench and start either Smart or Terry. You’ll have to excuse my lengthiness—the reason I dread writing letters is because I am so apt to get to slinging wisdom & forget to let up. Thus much precious time is lost. team is obviously not responding well to the favoritism of benching guys that got the team to the ECF last season. I think 2 starters need to go to bench. We need more guys who are going to do the little things...not just jack shots. I still say Brown and Tatum to the bench and force Hayward and Kyrie to get going. I'm beginning to question is Kyrie a leader of men? I see his skill but does he bring qualities that promote team and winning basketball? How could this team play so well without him last year? Can Brad coach this group to the next level? He was part of that 16-win streak. 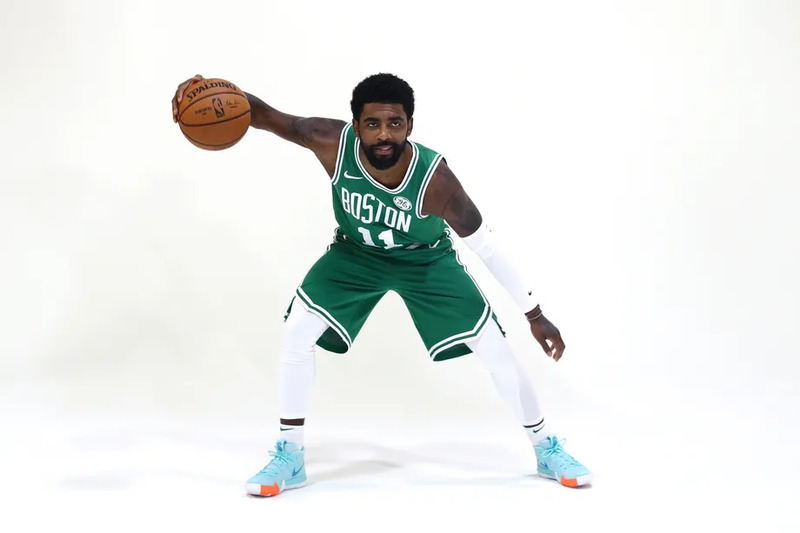 All I'm saying is I'd like to see more assist from Kyrie. Get the other guys going first, then he can start closing games. How? He passes, and they miss. What more can he do? He's doing his part in the assists, it's just we're terrible. He is one of 2 guys I trust on offence at this stage. Lol, yeah, his playmaking and passing has actually been stellar. Problem is others just can't finish it off. Pretty spot on. You can't get assists if guys you set up don't make shots. I am not sure in the 40 years I have been watching basketball I have seen a team miss this many wide open shots(threes and layups) ever over a period this long. No sorry I don't see assists. I see guys going one on one and then missed shots. I get it you cant get an assist with a missed shot, that's easy. I'm talking about getting the team into better shots. Kyrie is a shoot first PG. We're missing shots because no one wants to drive or take midrange shots. Everyone is trying to get 5 pt baskets.